View all our electric locks. 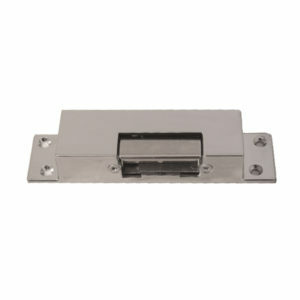 We stock electric locks for aluminium doors and metal or steel gates. BBL Electric Locks, Cisa Electric locks, Iseo Electric locks, Viro Electric Locks. 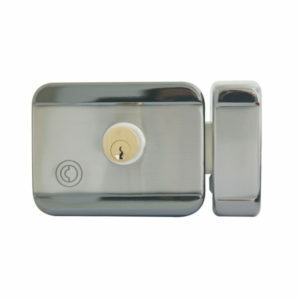 View all our BBL electric locks. 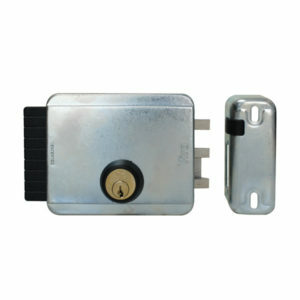 BBL Electric Lock Kits. Electric strike kit with plug in transformer. Electric strike kit with wired transformer. 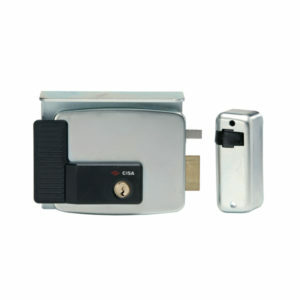 CISA Electric Locks for Wooden Doors or steel gates. 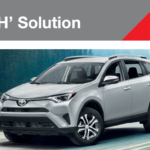 View our full range. CISA Elettrika, CISA left or right handed electric locks. Entry lock—Push button locking. Button on inside locks outside lever until unlocked by key or by rotating inside lever. Closing door release push button and unlocks door. Inside lever always free. OPENERS & CLOSERS Electric Locks for steel or wooden gates. 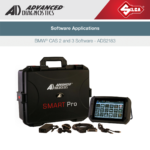 View our full range. OPENERS & CLOSERS Electric Strikes. Motorized rim locks. 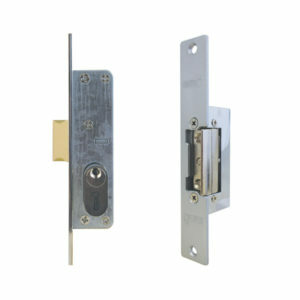 JIS Electric Locks for steel or wooden gates. View our full range. JIS Electric Strikes. Adjustable back set electric strike. 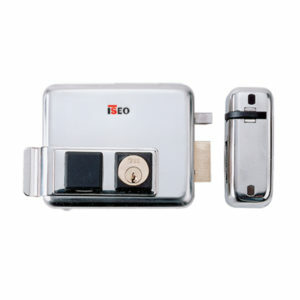 ISEO Electric Locks for Wooden Doors or steel gates. View our full range of ISEO electric locks. VIRO Electric Locks for steel or wooden gates. View our full range. VIRO Electric Rim Locks.